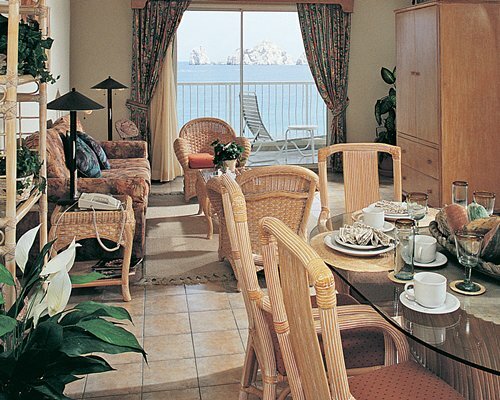 Villa del Palmar Cabo San Lucas has a great location right on the beach. 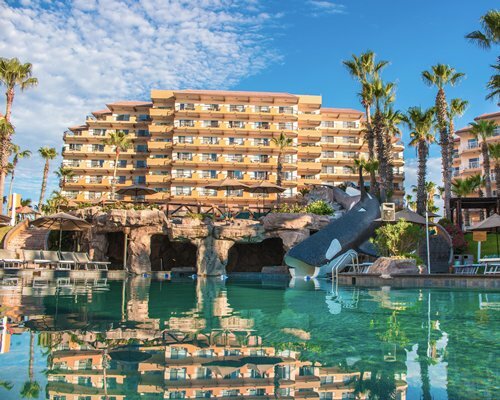 Enjoy two pools with a "whale" water slide, tennis, water sports, and other resort activities. The European Health Spa offers fitness equipment, aerobics room, sauna, steam room and hydrotherapy, facials, massage, and a complete menu of soothing body treatments. Dine at the beachside restaurant or enjoy drinks and snacks around the pool or on the beach. With the town of Cabo San Lucas just minutes to the west and miles of uninterrupted beach to the east, the resort is ideal for fun and relaxation and is the place for you.